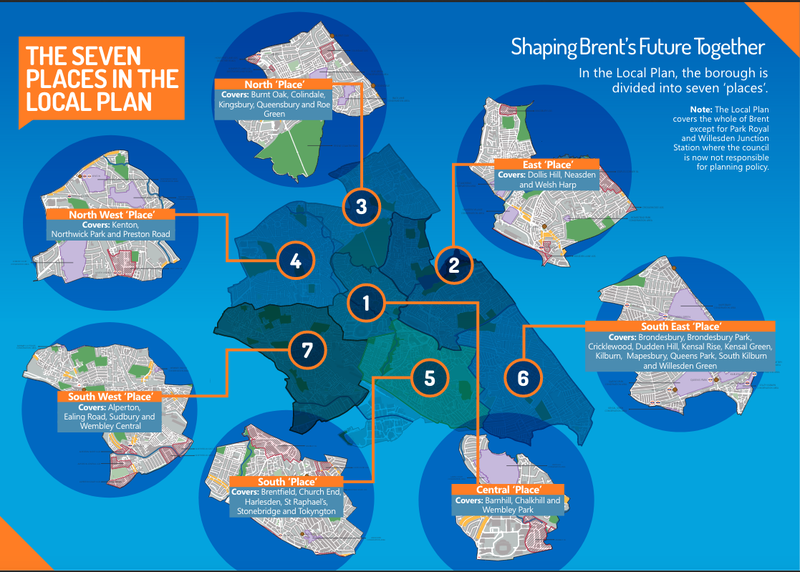 The consultation on Brent's new Local Plan ends at 5pm on Thursday January 3rd so there isn't long to get your response in. Full details can be found HERE. I will be putting aside a certain cynicism about the Local Plan, based on how often planners ignnore the principles set out in the current one, and hope that many other residents will do the same. The Plan will establish the context of planning decisions and thus the nature of our area for years to come - at the very least we should establish a strong demand for the retention and enhancement of green spaces. The borough has been split into 7 'Places' and an initial weakness appears to be that Wembley is split rather confusingly between Central Place (Wembley Park) and South West Place (Wembley Central). One would think that the relationship between the two parts of Wembley was crucial in terms of roads, bus and railway transport as well as offices and retail ands thus shold be treated as one place. 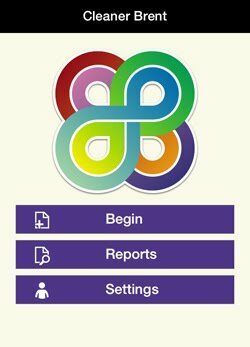 Respondents can choose between responding to the details for a particular place (Central Place questionnaire is below as an example) or the overall plan. Question 15: Solutions to meeting growth challenges, e.g. tall buildings, lower rise buildings but compromise on standards, or rely on character to inform height/density.
. 2.32 Tall buildings – answers focussed on the need to meet targets with potential to contribute to townscape, those not in favour identified them as eyesores, changing character and perceptions of safety and unlikely to provide affordable housing with criticism of Wembley Park design quality.
. 2.33 Lower buildings/ compromise standards – there was little support for compromising standards which was considered likely to adversely impact on quality of life/ mental health.
. 2.34 Take account of existing character – this was supported the most but most people interpreted this as meaning no tall buildings. 2.35 The Plan principally take account of existing character, but recognises that in accordance with London Plan that a positive strategy and sites will have to be identified for taller buildings. The Local Plan focuses on providing ‘clusters’ of tall and increased height, whilst removing opportunity for isolated tall buildings. Lower scale, but taller buildings than exist are identified for intensification corridors and town centres. Question 16: Where do you consider are the most appropriate or inappropriate areas for tall buildings and why? 2.36 The responses to this part were limited, consistent with the general antipathy towards these types of buildings. 2.37 The approach taken forward is to cluster tall buildings in highest Public Transport Accessibility Level (PTAL) areas and those areas where the Tall Buildings Strategy points to such opportunities as part of a positive plan-led strategy. Question 19: Should higher density housing in suburban areas with greater public transport accessibility be through: conversion/ extensions to existing buildings; infill in spaces between buildings; comprehensive redevelopment of sites, or other? 2.42 Limited number of responses – positive about reuse of buildings and comprehensive redevelopment, but negative about infill. Question 23: Appropriate affordable housing target. 2.50 From the general public there was more support for the 50% target, although many questioned the affordability of affordable homes provided. The professionals considered 50% too high and pointed to the 35% target set by the Mayor as a recognition of this, as long as viability could still be assessed where lower proposed. 2.51 The Plan is consistent with the Mayor’s approach of a strategic 50% target but with a viability threshold of 35% approach. Tenures will be focussed on rented products that even at their maximum are accessible to those on benefits. Question 24: Greater flexibility in relation to on-site affordable housing provision? 2.52 The general public were against this flexibility as it was likely to polarise communities, developers sought greater flexibility. Question 25: Affordable Housing Tenure Split? 2.54 The majority of respondents considered that there needed to be a mix, with products genuinely affordable and also those that catered for those working/ wanting to buy. Developers wanted flexibility/ pragmatism on a site by site basis. 2.55 Taking account of the needs and viability assessment work a preferred local mix that maximises London affordable/social rent/affordable rented products is prioritised (70%) as a proportion of the affordable housing but also seek a minimum 30% intermediate (shared ownership/ London Living Rent). A few weeks ago, Wembley Matters broke the news that a new Blue Plaque (the first in Wembley for 40 years) had been put up in Ealing Road, remembering former resident, professional boxer and greengrocer, Henry Cooper LINK . 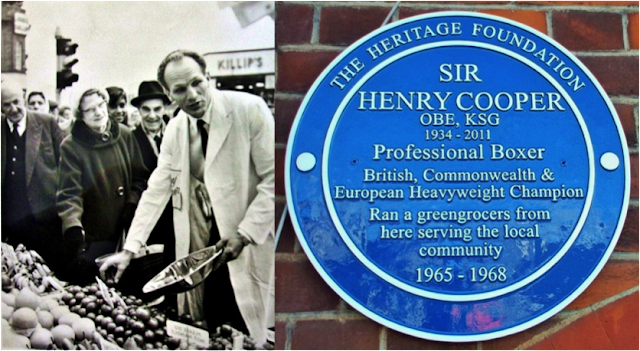 Now an illustrated article, “Henry Cooper of Wembley”, is available online, for anyone who wants to find out more about the life of the man, his links with Wembley and the reason that the commemorative Blue Plaque above his former shop at 4 Ealing Road is a deserved memorial to him. You can find it on the local history articles page of the Brent Archives website LINK . The recent documentary 'School' spotlighted the role of a multi-academy trust and particularly its CEO in the implementation of cuts. In a ground -breaking initiative students at Thomas Bennett Community College in Crawley are threatening a walk-out or a strike over cuts. Thomas Bennett Community College is a school with working class pupils attending. Over the years Thomas Bennett has struggled with funding, only to which this struggle became increasingly more difficult when the academy, TKAT, took over our school. Profit not students success is what this academies aim is and large group of students including me are ready to do whatever needs to happen for something to change! Whether that's a whole year walkout or a strike with the whole school. We are Students that are currently attending Thomas Bennett. We are undertaking our GCSE's and are month's away from exams. With limited welfare support throughout the school, such as a medical room assistant or a pastoral support assistant for each year we are struggling tremendously with the way the school is run due to low funding. Last year I emailed the CEO, someone who was going to get a large pay rise for the cuts at Thomas Bennett, of TKAT explaining my points to how it is affecting me and our school. The reply I got was a meeting with the local TKAT representative. We were told that it wasn't in their hands and overall told to stop talking about it. Teachers at our school care a lot for students but are unable to fulfill their wishes due to low funding by the multi academy trust, TKAT. I hope you can see how much this is affecting the school and help us stop this happening even more! Will Kilburn's 'Good Ship' sail again?